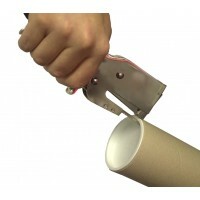 Looking for postal tubes to go through a letterbox? Available for A5 or A4 size invitations. These Gold, Silver, White and even Black Wedding Invitation Postal Tubes are perfect for protecting your invitation scroll whilst it is in the post. The narrower 38mm (1.5") diameter will allow wedding scroll tubes to pass through most letterboxes. They can of course also be used to hold invitations for Christenings, Birthday, Retirement or Anniversary Parties. If you don’t see the quantity of Wedding Invitation Tubes that you are looking for please feel free to contact us for a price on whatever amount you are looking for. 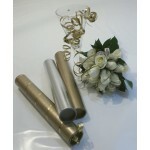 These products are also commonly known as - Wedding Tubes, Scroll Tubes, Invitation Tubes and Invite Tubes. We produce all of our Cardboard Poster Tubes and Cores in the United Kingdom. They are produced from recycled and recyclable materials. As a UK manufactured product our Postal Tubes do not clock up environmentally damaging product miles as a result of being imported from overseas.